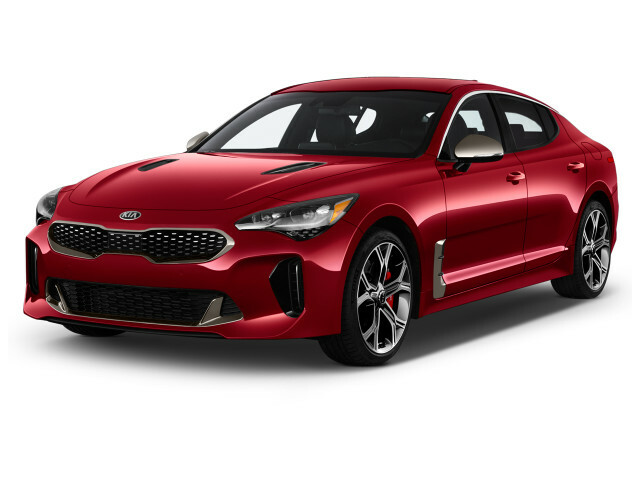 The Kia Stinger is a four-door, rear- or all-wheel-drive that bends genres and expectations around its curvy body. 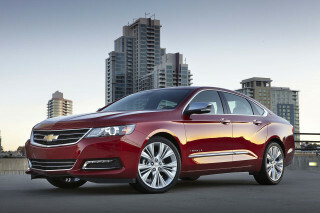 It's a luxury sedan, sport sedan, or grand-touring sedan—or hatchback. The Stinger brings to the market a new nameplate for the 2018 model year, and while it's a little larger than establishment rivals like the BMW 3-Series and Mercedes-Benz C-Class, the Stinger offers similar power and a rear- or all-wheel drive powertrain. It's that last bit that helps the Stinger stand apart from the front-drive Kia Optima since the two are sized about the same outside. The Stinger is powered by a turbo-4, while Kia reserves its new twin-turbo 3.3-liter V-6 for the Stinger GT. For 2019, Kia made blind-spot monitors standard, and offered wireless smartphone charging on the Stinger. With its Euro-esque styling, the Stinger looks like it could have emerged from a German automaker. And it was engineered in Europe, too; Kia says that much of its final chassis development was completed at Germany's famed Nürburgring racing circuit. That's pretty standard for brands like BMW, Cadillac, and Jaguar, but it's new ground for Kia. The Stinger's long hood and short rear overhang are classic rear-wheel-drive design elements—something that Kia has largely imitated but not had the goods to back up until now. Inside, it's also clearly inspired by Germany's best; certain elements of Mercedes-Benz's current design language show through, in particular. Even though it's from what was once a budget brand, the Stinger looks and feels positively upscale inside. Ample use of nappa leather and soft metallic surfaces elevate its interior materials and there is considerable attention to detail absent in more mainstream models in Kia's lineup—like the company's mid-size Optima, for instance. While the Optima is sized about like the Stinger outside, the two cars are after very different buyers. The Stinger shoots for enthusiast drivers instead of the center of the market. Pop the Stinger's long hood, and a 2.0-liter turbo-4 or 3.3-liter twin-turbo V-6 live underneath, both of which are mated exclusively to an 8-speed automatic transmission. A manual gearbox isn't on offer, although we wouldn't rule one out down the line. 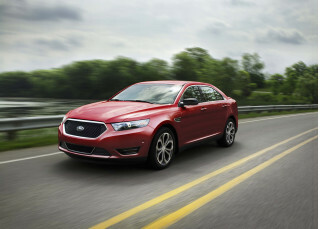 The 4-cylinder is rated at 255 horsepower and 260 pound-feet of torque, the latter of which comes on at just 1,400 rpm. 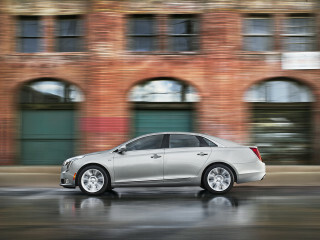 The V-6, meanwhile, comes in at an impressive 365-hp and 376 pound-feet. The Stinger comes standard with rear-wheel drive and a limited-slip differential is available, while the snow-friendly all-wheel-drive system comes with brake-based torque vectoring that clamps down on the inside rear wheel to send the power to the outside wheel and help the car rotate through turns. The Stinger’s suspension is a fairly conventional setup: MacPherson struts up front and a multi-link setup out back. 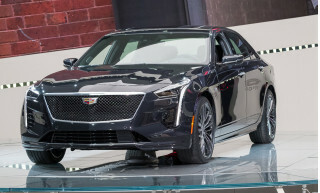 The V-6 model also features four-piston front brakes supplied by Brembo. 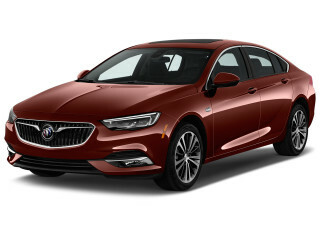 In terms of safety, the Stinger is available with automatic emergency braking, adaptive cruise control, active lane control, and even a fatigue sensor that sounds alerts if it detects a tired driver. GREAT CAR, EVERYTHING YOU EXPECT.